COLORband T3 BT is a compact linear wash light with built-in Bluetooth® wireless technology. With the BTAir app, COLORband T3 BT can be controlled remotely from any smart phone or tablet without any additional hardware. Download the BTAir app for free from your favorite online app store. 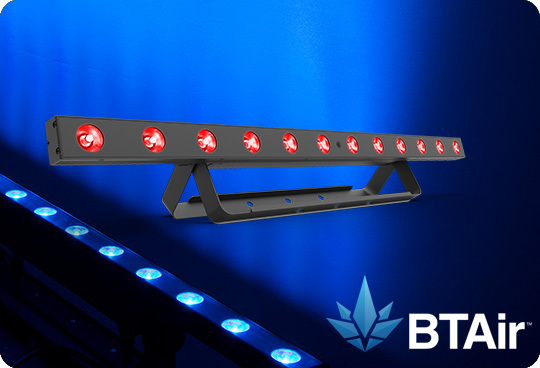 COLORband T3 BT has 12 tri-colored (RGB) LEDs and 3 zones of control to create amazing automated effects. Access built-in automated programs via optional IRC-6 remote, Master/Slave or DMX. Compatible with BTAir.